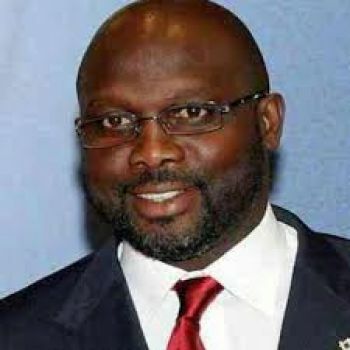 The President of the Republic of Liberia, His Excellency Dr. George Manneh Weah has by Proclamation declared Thursday, November 29, 2018 as the 123rd Birth Anniversary of William Vacanarat Shadrach Tubman, 18th President of the Republic of Liberia, to be observed throughout Liberia as a National Holiday. The Proclamation further ordered and directed that all Government offices, business houses and market places be closed during the observance, from 6:00 AM to 6:00 PM. According to a Foreign Ministry release, the observance is in recognition of former President Tubman’s nationalistic commitment to development and unity through sound economic policies including the Open Door Policy that boosted economic growth, thereby putting the country’s GDP in the global economic index. The late Former President Tubman is also being remembered for his manifold contributions to the emancipation of African Colonial Territories into Statehood. The observance is also in recognition of the profound changes and lasting accomplishments made by former President Tubman during his administration for which the citizens of Liberia desirous of showing their appreciation, esteem and approval of his outstanding, noble and remarkable leadership through a petition and requested the National Legislature of Liberia to issue permanent, record of their sentiments in honor of his birth for posterity. The Proclamation is in consonance with an Act of the National Legislature which was enacted at the 3rd Regular Session of the 42nd Legislature of the Republic, setting aside November 29th of each year as the birth anniversary of the late William V. S. Tubman, 18th President of the Republic of Liberia to be celebrated as a National Holiday.